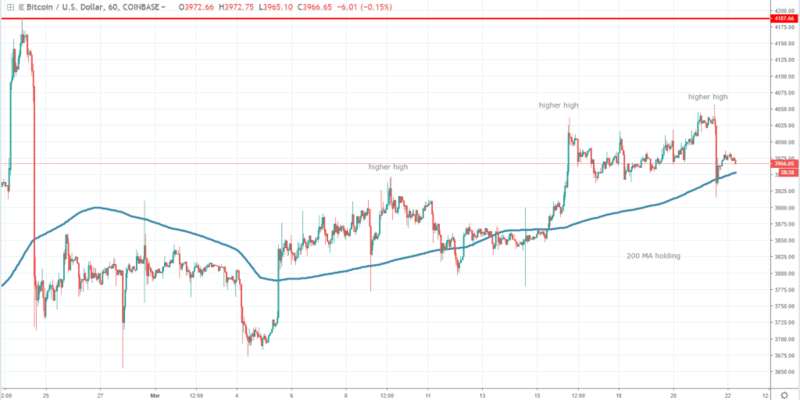 Since the flash crash which took place on February 24th, Bitcoin had a pretty choppy performance and had consolidated in a range for almost two weeks. However, since mid-March, the buyers had been slowly building up steam, communicating that more gains are poised to show up in the near term. Despite continuous negative feedback from famous investors like Warren Buffett, Bitcoin slowly continues to recover from the 2018 lows. As you may see in the chart below, yesterday, March 21st, a new short selling wave occurred, but the downside had been capped successfully by the 1h chart 200 simple moving average. If we look at the bigger picture, we can notice a series of higher highs and higher lows, which show how buyers continue to dominate the order flow. Right now, the sellers are being squeezed and we suspect the buyers will be able to push the price action higher, towards the $4,187 level, where the selling started on February 24th. 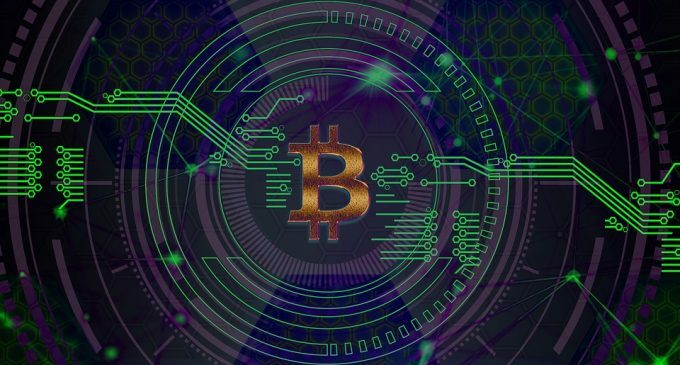 Although no new significant news showed up for Bitcoin, there were a few hints that it is still a cryptocurrency worth considering. Rakuten announced it will support Bitcoin payments, and Fidelity had launched Bitcoin custody services. Even though we are still not 100% sure Bitcoin has bottomed out, the current conditions suggest that buyers are being driven to enter the market by the extreme oversold conditions. What most technical analysts would like to see before claiming that Bitcoin reached its bottom, is a retest of the low made back on December 15th. The likelihood of that happening in the news few months is still valid, considering that the 2018 Bitcoin low is located at $3,131 on the Coinbase exchange, and at the time of writing, the price is located at $4,000. Although we are up more than 20% from the lows, this recovery pales in comparison with the selling that took place last year, which drove Bitcoin from nearly $20,000 towards the $3,000 area. By analyzing the bigger picture, we see Bitcoin is still subdued in the long run, but the short-term picture is favoring a continuation higher. Let’s see what happens when Bitcoin will reach the $4,187 level. If buyers will continue to push the price action higher, we expect Bitcoin to reach $4,800 or $5,000 by the end of Q2 2019. We do not think volatility will spike higher like it did last year, which leds us to believe that Bitcoin’s recovery will last a long time.